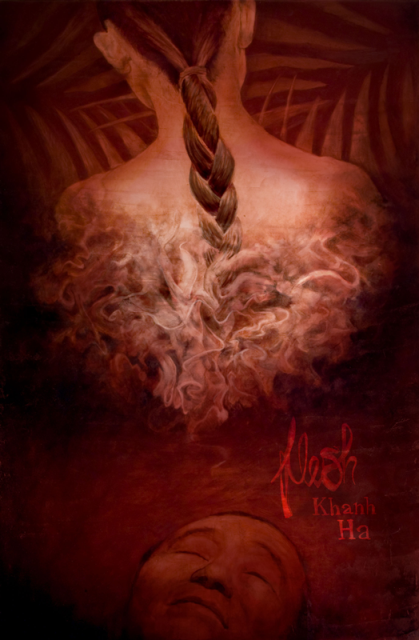 Flesh by Khanh Ha Takes on the Turn of the 20th Century Vietnam Through an Unlikely Hero | Oh, for the HOOK of a BOOK! I’m going to extend my praise for Khanh Ha’s Flesh up front and without delay. This book should earn literary distinction among the best literary fiction works for its multi-layered, lavish narrative prose! I hope my children will be reading this book in their college English classes one day. Whether or not, it will have a front and center spot on my shelf and it’ll be on my most recommended list. It’s as good as award-winning literary fiction such as The Kite Runner by Khaled Hosseini, Atonement by Ian McEwan, and Memoirs of a Geisha by Arthur Golden. Such comparisons come because they all deal with social issues, the novel is propelled by characters and not strictly a plot, emotional ties are made by the reader, and they are poignant, original and haunting as far as thinking of humanity. Flesh is also written in first-person narrative, a feat only the best writers can accomplish. I know that’s saying quite alot, but Mr. Ha deserves the credit. His writing is moving, caressing, and heart-wrenching. Though most literary fiction is distinct due to being character driven, the best works also create a subplot moved by the characters and the description. Without it, it just becomes a droning on by a character about their every life. That is not the case with Mr. Ha’s novel. His writing style and detail is superb. Readers can feel the rain on their face, smell the sickness, visualize the banana leaves, taste the roasted snake, and imagine the horrors of life living in poverty. His description is flawless. Mr. Ha’s narrator, Tai, completely compelled me into the book and wouldn’t let me go. He wanted me to hear this story and I obliged willingly, even when at times the subject matter tore out my heart. And back to the plot, that is what gave this book a foundation beyond the superb character development. Mr. Ha’s Flesh creates a world full of twists and turns that is Tai’s journey. At first starting out with a goal of re-burying his father’s headless body and skull, as well as his little brother’s body, Tai is moved from favor to favor, in service to one after the other, owing favors, and even finding love. However, fate always has other plans and Tai moves flawlessly from one avenue to the next, never questioning. He is all about the journey and where life leads him. Mr. Ha seals up connections for us; always show us how one encounter can affect the next. Like the smoke of opium from the back alleys of Hanoi, this novel weaves a tale as fluid as that smoke, yet as exquisite as a red poppy. I want to tell you if Tai completes his purpose, but I don’t want to spoil it for you. I will tell you that the ending is both at times horrific, then very sad, but as well hopeful and inspiring. I don’t know how Mr. Ha can move me from one emotion to the next so fluidly, but he does. I’m left with the thought of “life is about the journey, one step to the next” and “what you do now can come back to you or your descendants later.” We all feel connections throughout life, never knowing what impact they may have on us or someone we love later. The intricacies were phenomenal, you’ll know what I mean when you read it. The monkey, the pocket watch, the knife. Amazing. This book had so many sub-sets to it, from poverty vs. rich (class issues), from Annamese (Vietnamese) vs. Chinese (racial issues), spirituality and religious issues, as well as deals with the opium dens and slave trade of late 19th Century Asia. I am certainly thankful, today, for the gift of my life in America. You’ll connect to this book, love it, be bound by it, and want to read it straight through. You’ll get lost in this narration and enter a world like you’ve not read in a while. I highly recommend that you read Mr. Ha’s novel and expand your literary mind. It might be labeled as historical fiction of Vietnam, but it’s much, much more than just that. It’s a story of human triumph. Thank you, Mr. Ha, for writing a book that truly touched my spirit. I’ll be interviewing Mr. Ha on April 11! I hope you’ll stop back for what I am sure will be a great learning experience. Thank you, Erin, for writing up this review of FLESH. This is one luminous review that makes one’s heart tremble with humility. You also gave reading book reviews a fresh breeze rather an a draft of hot air, and I’m sure readers will enjoy it in snapshots of descriptions that you show them. I do hope that it will give readers food for thought. Thank you, Mr. Ha. That means a lot to me. Thank you for writing such a fabulous book. Thank you for this review. This is now on my must read list. 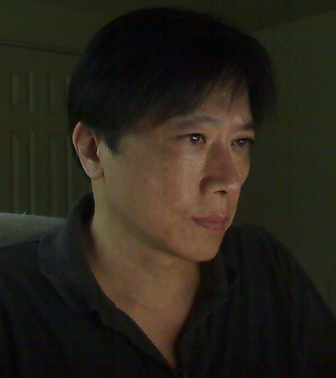 The trailer is powerful as is the opening scene excerpt on Khanh Ha author page. Once I get a chance to read this novel I plan on reviewing it on my blog: http://www.stephaniereneedossantos.com . Praise to the author for writing this book! You’re welcome! I loved this book from start to finish. I hope you like it as much as I did. Pingback: Interview with Interesting Author Khanh Ha about His Novel, Writing, and Inspiration | Oh, for the HOOK of a BOOK!